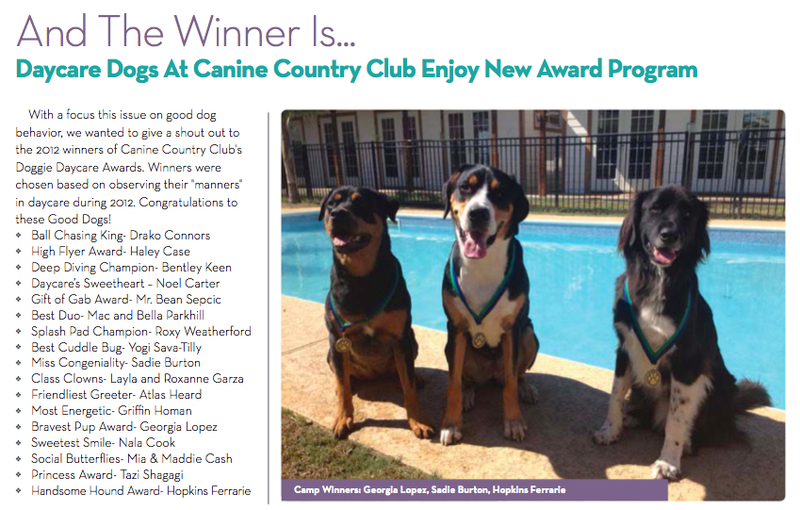 With a focus this issue on good dog behavior, we wanted to give a shout out to the 2012 winners of Canine Country Club's Doggie Daycare Awards. Winners were chosen based on observing their "manners" in daycare during 2012. Congratulations to these Good Dogs! Adrienne and Jeff Murphrey have loved dogs for as long as they can remember, but never thought they would be more than pet owners. After many years of dreaming, they are opening Canine Country Club, and are starting to take reservations for Christmas. The official grand opening is on Sunday, Nov. 14 from noon to 4 p.m. and is open to the public. Both Adrienne and Jeff were attorneys for more than 20 years. 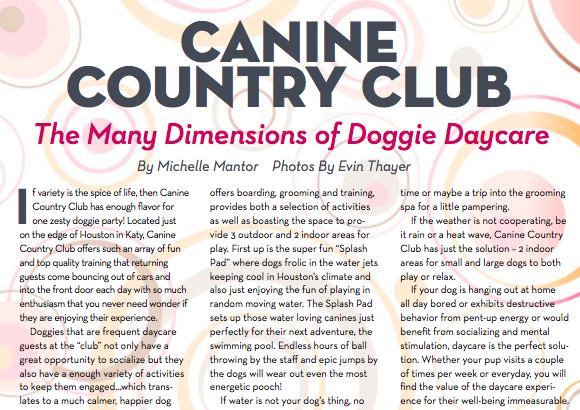 Two years ago, they put everything on the line and started their plans for Canine Country Club. The Canine Country Club will offer boarding, training, grooming and doggy day care for dogs alone. The facility will have 89 indoor/outdoor runs and is spread across 2.5 acres. There will be splash pads, pools, luxury suites and flat screen televisions. Having three dogs of their own, Jeff and Adrienne wanted to create an inviting and enjoyable experience for dogs. 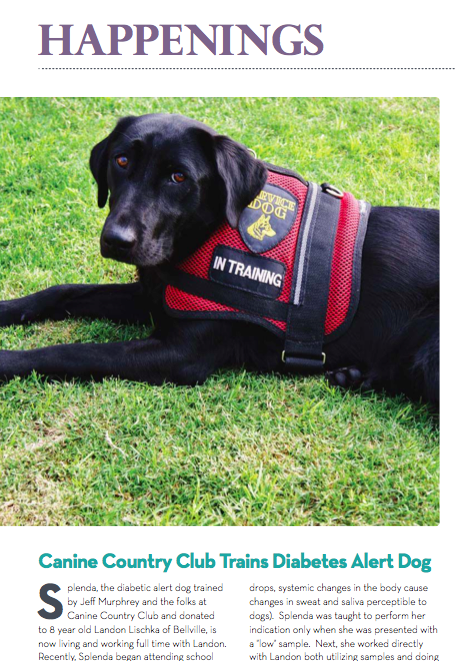 "I think a lot of people view their dog as a family member and they want to do things for them, just as you want to take your child to Gymboree, or art class or do something that is interactive with your child, you want to do the same with your furry child," said Adrienne Murphrey. Adrienne is running the marketing and business side of the company. Jeff is the head dog trainer. He also designed the whole facility. "I think people are going to see how we stand out when they see our trainers, our facility, our services and people's personal experience when they get into our facility and see that we are a family run business with a passion for dogs." Jeff raised and showed horses growing up and went to dog training school at Triple Crown dog training academy. Adrienne and Jeff chose to build their facility in Katy because they knew the need was great. 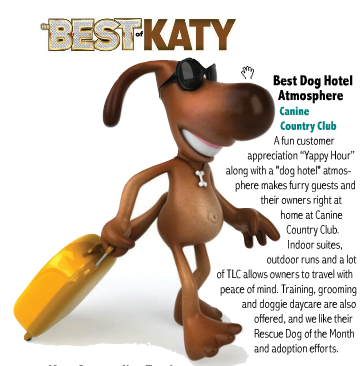 "Dogs follow families and this (Katy) is where the families go," said Jeff Murphrey. "Dogs follow the families and we follow the dogs." The Murphreys are also excited about partnering with the humane society. They are planning on having a dog of the month that they train, board, feed and groom and help find a new home.